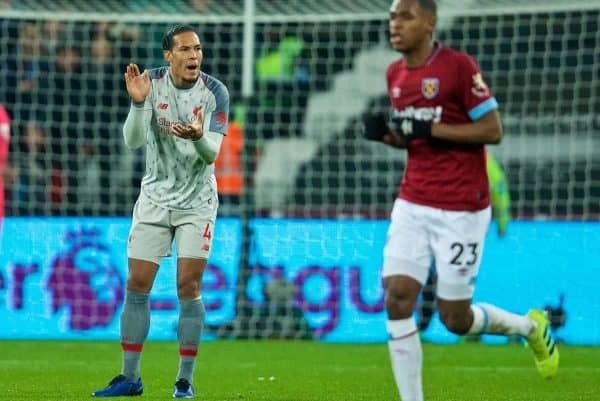 Liverpool dropped more crucial points in the title race after being held to a frustrating 1-1 draw by West Ham at the London Stadium. There was a lot of poor play from Liverpool at the London Stadium, but arguably the worst of all was the dire defending from set-pieces—free-kicks in particular. West Ham deserve credit for their inventiveness which the Reds came unstuck against, most obviously with Michail Antonio’s equaliser which came from a simple but well-executed move. But there can be no denying that the defending of the host’s set-pieces was poor and it proved costly, gifting the Hammers an equaliser and seeing two points dropped. Holding a ridiculously high line practically told West Ham’s takers where to deliver, while players didn’t follow runners and failed to show any strength in the physical confrontations. Antonio’s strike was the worst example as Andy Robertson failed to follow the goalscorer while Naby Keita was blocked off far too easily by Mark Noble. Liverpool were fortunate not be punished further when Declan Rice was gifted a free run to attack the ball and should have scored a free header—only to direct it over the bar. The organisation in general was shoddy, and it was a horrible throwback to bygone seasons when it used to feel like the Reds conceded from almost every set-piece. The 4-2-3-1 has been Klopp’s system of choice for the majority of this campaign, but the German switched back to the 4-3-3 that he used heavily for the previous two seasons. It was a move that backfired in east London, with Liverpool looking like a team that had forgotten how to play the formation effectively. Out of possession the Reds were disjointed in their shape, leaving gaps all over, and were too easily bypassed in the middle of the park in particular. The lack of a solid midfield meant there was no platform to build off that a 4-2-3-1 provides, while a lack of fluidity and cohesion evidenced by the vast amount of poor passes showed a system breakdown. The change of shape also failed to bring the best out of Roberto Firmino again, and the Brazilian’s struggles to link play with his back to goal for most of the night saw him withdrawn. A return to 4-2-3-1 should arrive on Saturday against Bournemouth, with this clearly Liverpool’s most suited formation. 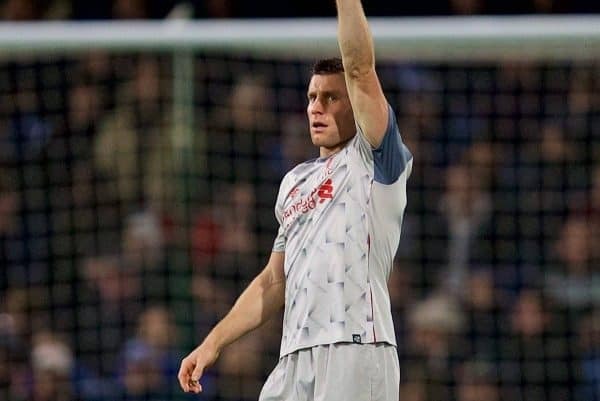 There’s an interesting debate to be had over which current injury absentee Liverpool are missing most right now—but on tonight’s evidence it’s the Scouse full-back. 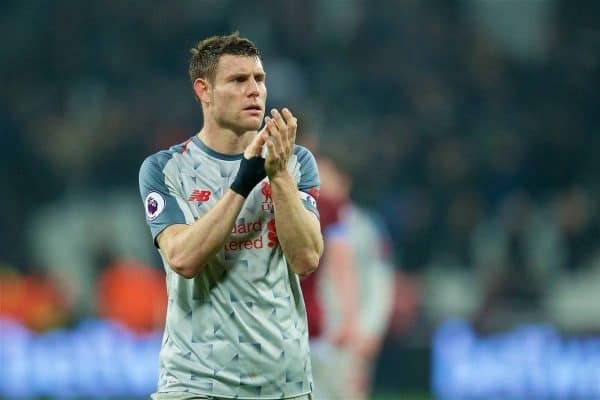 James Milner has provided a useful stand-in but the vice-captain is no right-back, with his lack of speed to break forward and burst back, as well as his limited defensive know-how plain to see. Milner, to his credit, claimed the assist for Sadio Mane’s opener, but this was the only highlight in an otherwise poor display which only highlighted how badly Trent Alexander-Arnold is missed. Indeed, the youngster’s speed and marauding runs provide a constant threat to pin opponents back, while his raking passes from deep and his crossing ability are also missed. Klopp has said that Alexander-Arnold could be back in time to face Bournemouth on Saturday—keep everything crossed that proves to be the case. Much was made of how Liverpool would cope having to play after Man City for four consecutive Premier League games, starting at home to Leicester last time out. It’s fair to say the answer has not been what was wanted, with the Reds dropping points for the first time this season against non-top six opponents in successive games against the Foxes and the Hammers. 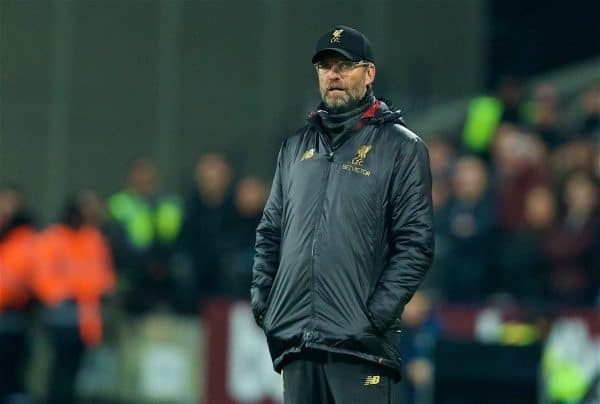 Performances in both matches have been way below par, with Klopp’s side lacking too many of the characteristics from the surge that initially took Liverpool to top spot. 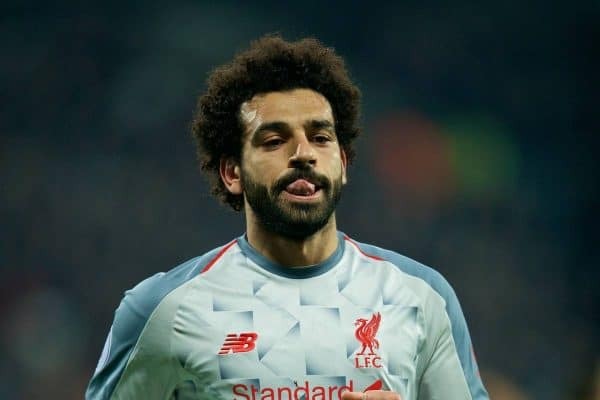 Hesitancy and sloppiness in the passing has been a major frustration, while big players like Firmino and Mohamed Salah have hit a period of poor form suggesting nerves are creeping in. From having had the chance to open a seven-point gap before hosting Leicester, reality is that City will now top the table in 48 hours when Pep Guardiola’s side inevitably breeze past Everton. The pressure won’t subside if the Reds do drop off top spot and it’s vital Klopp’s side somehow rise above it to find a return to winning ways. Though pressure is showing signs of weighing heavily on certain shoulders, one man that doesn’t seem to be feeling it is Mane. He has been the shining light of the two successive disappointing games, following a goalscoring performance against Leicester with another at the London Stadium. The No. 10 deserves full credit for scoring a quite brilliant opener—controlling and spinning superbly before placing a clinical finish into the far corner. 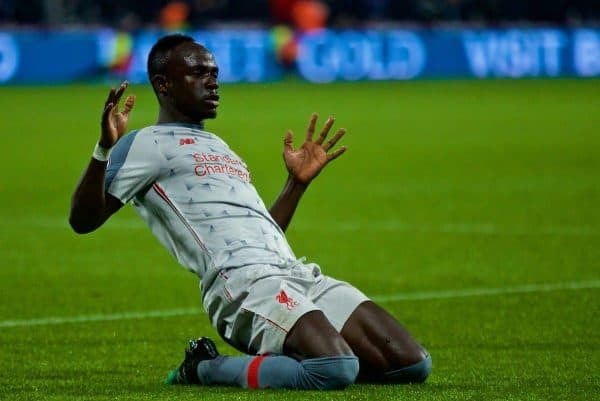 Aside from the goal, Mane was Liverpool’s biggest threat and also most likely source of creation on the night, with the Senegalese showing great bravery to carry the fight while others struggled to deliver. It’s now three goals in three games for Mane who is certainly doing his best to drive the Reds out of the sticky patch. More of the same please, Sadio.